This week on the Most METAL, LIVE comic book talk and review show around, we have another great opportunity to chat with Canadian cartoonist Andy Belanger about his new self-published and distributed book BLACK CHURCH. He also spills some beans about the progress of more Kill Shakespeare from IDW and keeps us laughing with some great stories. 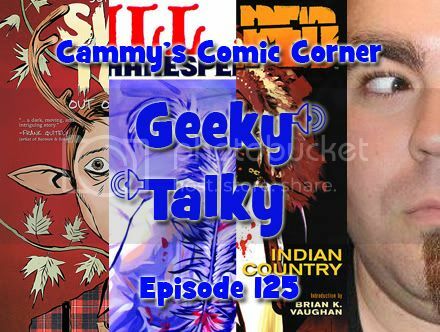 We also review some comics. Like Phantom Lady and Doll Man #1 from DC comics and Prophet #28 from Image Comics. We’ll also take a look at TMNT Micro-Series #7 starring April O’Niell from IDW as well as Journey Into Mystery #642 from Marvel. We’ll also add a healthy dose of our own style of commentary on happenings in the comics field since we were last on the air in mid August. If you have a question or comment on anything we are discussing, feel free to post it on our Facebook wall or give us a call at 506-453-4949. By the way, we get all of our comics at Strange Adventures. Comic News Insider: Episode 399 is now available for free download! Click on the link or get it through iTunes! Sponsored by Dynamic Forces. 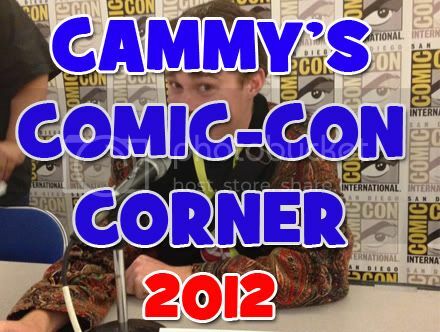 Join Jimmy and Kevin Conn on the Comic News Insider Night Watch radio hour as they introduce the charming podcast dinner from Boston Comic Con. Jimmy hosted a laid back dinner at Sonsie restaurant in Boston with Jeremy Bastian, Andy Belanger, Becky Cloonan, and Ming Doyle. They chatted about the state of the comic book industry, indie vs mainstream, art styles, photo reference, digital comics and more. Jimmy also ended the dinner with a very Bernard Pivot style questionnaire for everyone. Come and listen and you’ll feel like you are dining with us! It’s informative, atmospheric and just plain fun. Leave your iTunes comments! 5 stars and nothing but love! This week on the only LIVE comics podcast that is made with 100% Canadian Grade A beef, we welcome Canuck illustrator and artist on Kill Shakespeare from IDW, Andy Belanger to the Monster Crevasse. We’ll be chatting with Andy about Kill Shakespeare, Bottle of Awesome and much more but if YOU have a question for him, you can post it on the Facebook wall or give us a call in the studio at 506-453-4949.